I wanted to let you know that my new book It’s All Relative comes out today! And I also wanted to give you a little something for free just because you’re my distant-but-beloved cousin. It’s All Relative features black sheep, celebrity cousins (Daniel Radcliffe! John Legend! 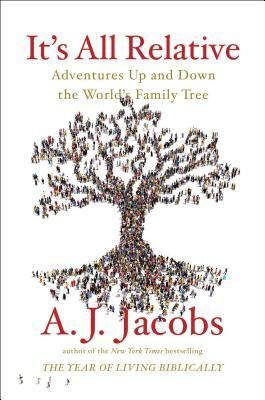 ), separated-at-birth twins, genealogy obsessives, plenty of Mormons, a family with nine fathers, an African-American daughter of the revolution, the real Adam and Eve, kissing cousins and friendly Neanderthals, among much more.